How people travel costs organisations time and money. Mobility management planning creates benefits for everyone, for businesses and for employees. How people travel costs organisations time and money. 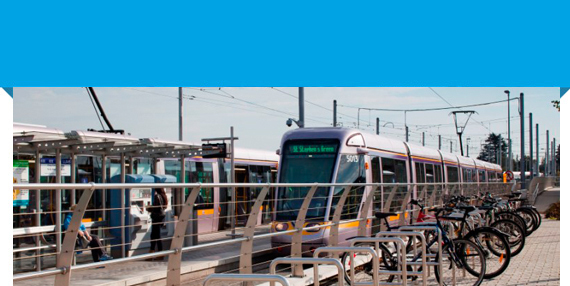 The Sandyford Smarter Travel project aims to improve and promote sustainable travel options for those working in the area over time mainly through Mobility Management Planning and the upgrade of infrastructure – both are key objectives in the recently adopted Sandyford Urban Framework Plan. A Mobility Management Plan (also known as a Travel Plan) is a long-term management strategy developed and used by an organisation. Thousands of companies nationwide are already involved in making and managing these plans. The good news is that while it takes some time and effort, mobility management planning creates benefits for everyone, for your business and for your employees. It also helps businesses and employees to make a difference in terms of quality of life, health of employees and the environment. The Mobility Management Plan helps to promote and deliver sustainable transport objectives through positive action. It takes the form of a document that is regularly reviewed and acted on. A good Mobility Management Plan will provide realistic alternatives to the car, making alternatives to driving alone more attractive whilst reducing the overall need to travel. Area Wide Mobility Management Plans cover a particular set of sites in an area that can be linked in order to increase the effectiveness of individual travel plans. Developing an Area Wide Mobility Management Plan has advantages over multiple organisation-specific plans as it encourages the pooling of resources. 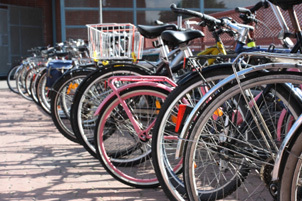 This increases the potential for effective initiatives to be identified and introduced relating to sustainable travel. An Area Wide Mobility Management Plan has been developed for the Sandyford Business District to provide a focus on achieving the transportation and economic vision for the Sandyford Business District as outlined in the Sandyford Urban Framework Plan. A Mobility Management Plan Network is a group of organisations working together to reduce and manage car use in an area and improve transport options for everyone. It brings together, formally or informally, individuals and organisations involved in preparing Mobility Management Plans with the aim of facilitating the process. The exchange of information, ideas and good practice. Achieving greater economy of scale and sharing of resources. To provide encouragement and practical support for those involved in Mobility Management Plan process. To make viable the provision of services relating to Mobility Management Plans on a collective basis. Bring together organisations to generate an effective bargaining force and to enable smaller companies to benefit from the support and assistance of larger organisations. The benefits of a Mobility Management Plan network for the Sandyford Business District are that concerted action by a number of organisations makes things more likely to happen. Mobility Management Plans are more likely to be prepared and implemented with a network behind them. The terms of reference for the network will decided by the network members early in the process.